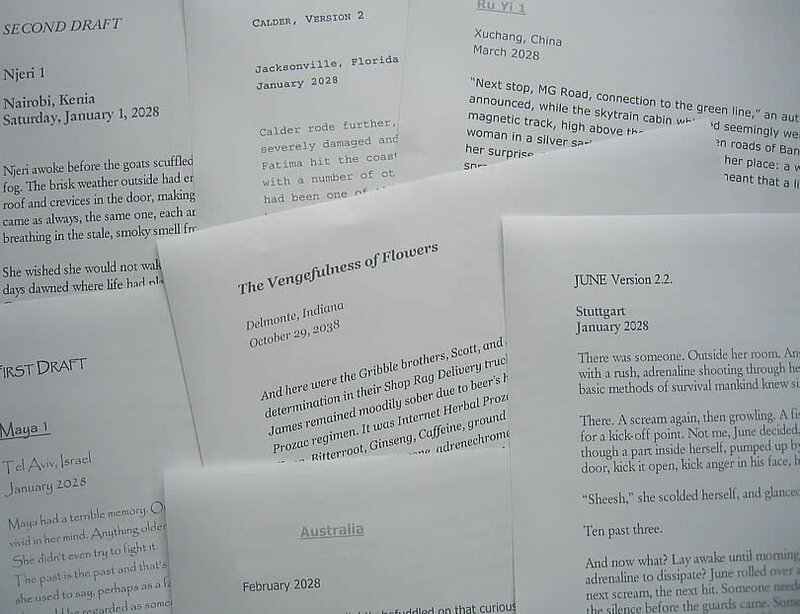 Through a string of coincidences, seven authors met in the borderless world of literary e-zines and initiated an international group writing project. The idea of the project: to develop a future vision of our world caught in a global ecological crisis, a world of flowers turning gray. Since the start, the story develops steadily in unexpected patterns and shapes, with each author reflecting on his/her own culture and continent while interweaving the different storylines and settings into one novel. 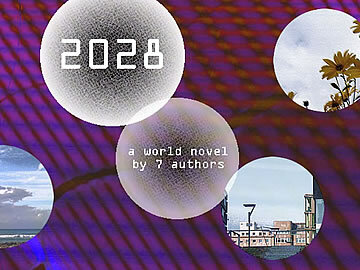 “2028 - a collaborative world novel”.